Security checks at most airports around the world remain stringent. We all known the drill: no aerosols; sharp objects; liquids more than 100ml and definitely no explosives. I once had my eye-lash curlers confiscated from my hand luggage before boarding a flight – security were clearly concerned I might give a potential hijacker a makeover. But while passengers are put through their paces, it appears to be another story for cargo being loaded onto those very same planes. The British Union for the Abolition of Vivisection (BUAV) says it has secretly filmed crates being put on board two major passenger airlines – Air France and Vietnam Airlines. 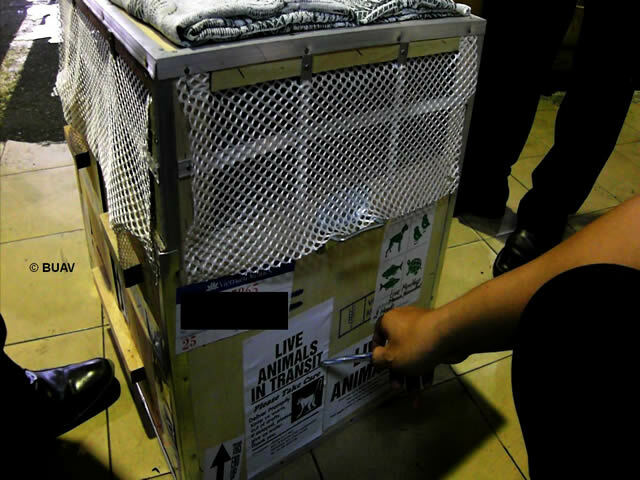 The footage shows monkeys stuffed into tiny crates bound for the USA; France and the UK all for research. 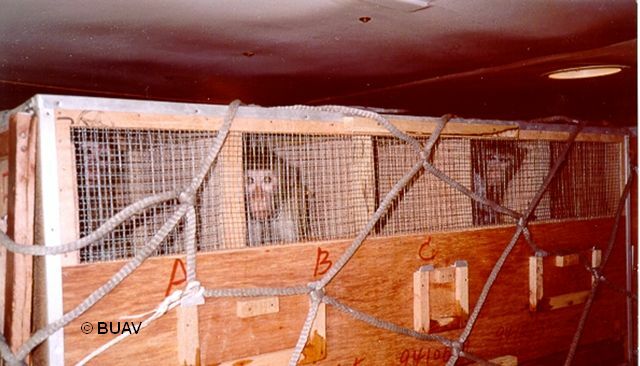 BUAV claims 120 monkeys flew from Vietnam to Paris and onto Chicago, where they were allegedly picked up and delivered to Covance Research Products in Madison, Wisconsin. 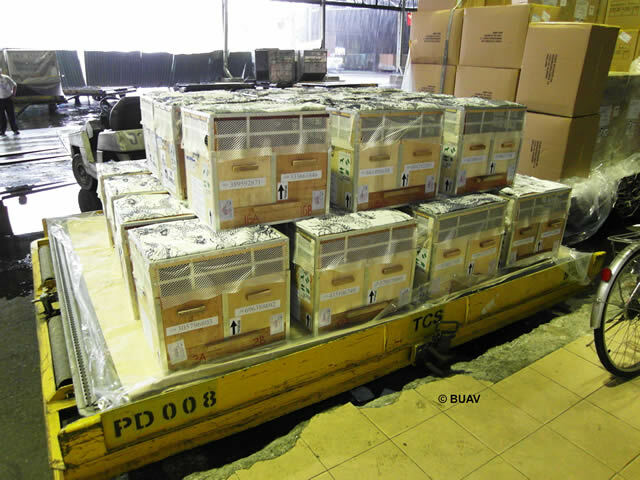 Another 80 monkeys were allegedly shipped from Vietnam in March to France for the Centre de Primatologie; while Vietnam Airlines allegedly brought another 80 to Belgrave Services, a primate dealer in the UK. 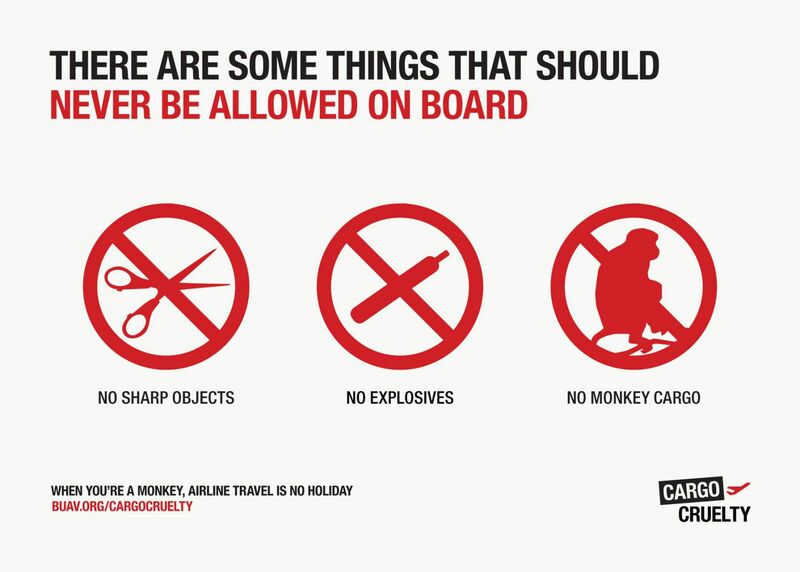 Sarah Kite, director of special projects at BUAV said: “Passengers will be shocked to learn that monkeys, destined to suffer and die in laboratories, are imprisoned in crates inside the cargo hold on their flight, literally below their feet. Each year thousands of primates are transported around the world to meet research demands. These animals are left traumatised as they are forcefully separated from their family group and often never survive the gruelling journeys in the most suffocating conditions. There’s already been some shift in attitude by some airlines to agree not to take these shipments, but now the BUAV is calling for all airlines to stop this practice. I’m still waiting for a right of reply from the airlines Air France and Vietnam Airlines over these allegations. SkyTeam Media, which represents Air France and Vietnam Airlines has responded. In a statement the company says its airlines respect and comply strictly with the standards set by The International Air Transport Association. “Air France is particularly respectful of the Washington Convention on protected species of plants and animals, whose movement must be based on scientific grounds recognized and regulated globally. it just makes me so angry that people can allow this to happen, its sick treating animals with such contempt, its bad enough that these poor souls are going to be brutalised by man for our sake that they get shipped about like luggage/cargo. i am totally ashamed to be human, totally abhorant beings we truely are, i dont like to think mice and rats are tortured every day for the benefit of man but when monkeys and primates are seen to have many qualities that makes us who we are i.e emotion,family structues how can we contemplate these acts as the good of man. ive said before i have lupus and i would rather suffer my pain than see a primate suffer, plus i cant see how anybody can think this is the right way to transport live animals with such a complex life and family.